Applies smoothly and consistently on your work and provides a flawless non streaking finish on large and small turnings. Its creamy consistency makes it easy and safe to apply. Buffs to a rich deep durable shine on wood carvings or flat wood. 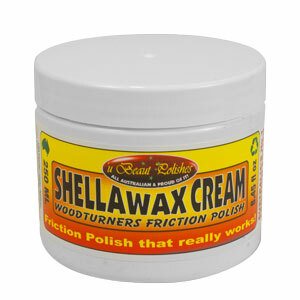 Shellawax is a "friction polish" that dries almost instantly while applying on the lathe - produces a wonderfully brilliant shine in seconds. Non-toxic and water resistant when dry. Formulated from an exclusive combination of de waxed white shellac and a variety of fine finishing waxes. Please note that this item can only be shipped to addresses within the continental United States by Ground Service only. SoftWax is a great way to fill holes in finished woodwork! 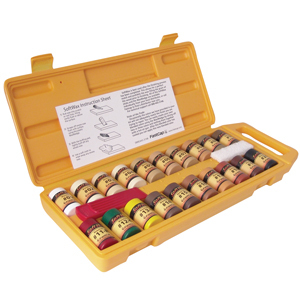 The refillable kit comes with 20 blendable colors, a Wax Wedge and a buffing pad. 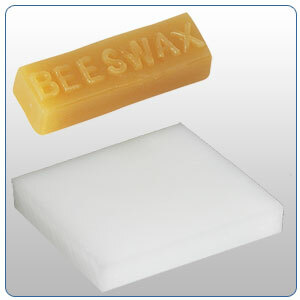 The hard-shell case keeps the wax where you want it, when you want it. 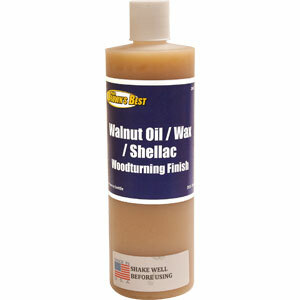 Walnut Oil Paste Wax provides a smooth surface on which the wax can be deposited. The wax is applied to the piece after final sanding and is then buffed with a soft paper towel. 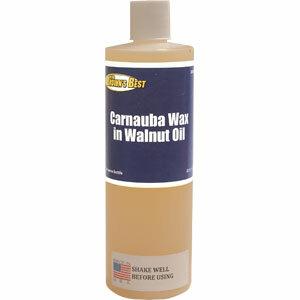 The Walnut Oil Crystal wax relies on the solvating properties of walnut oil. 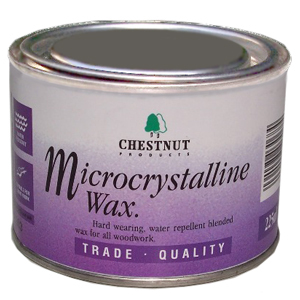 Walnut Oil Microcrystal Wax provides a translucent wax finish. 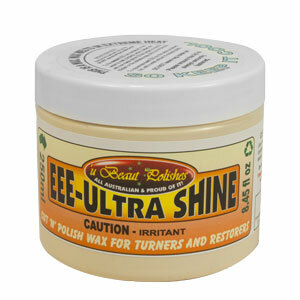 In exchange for a slightly brighter shine, you get a slightly softer finish than with carnauba wax. 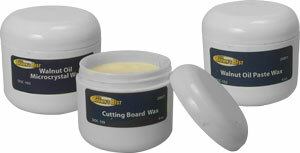 Cutting Board Wax is a Hard, Carnauba wax finish that is food-safe and made specifically for cutting boards. 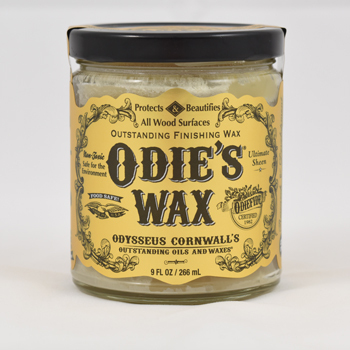 For a single step, solvent-free durable finish that brings out the grain and figure of the wood, this patented blend of carnauba wax and walnut oil is a great choice. The patented micro aggregated carnauba wax particles are the unique part of this finish. Tiny wax particles act very much like the woods surface to produce a hard and protective wax finish that can be buffed to any degree of luster that you desire. Ron Browns Walnut Oil/Carnauba Wax /Shellac Woodturning Finish combines the good sealing properties of the High Build Friction Polish with the protection, shine and restorability of a micro aggregated carnauba wax topcoat. This is a friction polish that produces a hard, restorable finish. Applied to the spinning piece as a first finish or as a redressing application, the project buffs up with a great shine in one step.